We’ve all heard the ‘New Year, New You’ song and dance (and maybe even tried to follow along for a few steps). But often the reinvention mania focuses on a very narrow aspect of health, missing the big picture and often falling back to old ways and habits that didn’t serve you. We want to offer you a different perspective! This Whole YOU series brings a holistic approach to kickstart your wellness practice this year. Join 200RYT Christine Fronterotta as she leads us through this program that takes a well-rounded approach to health and fitness, incorporating body, mind, and spirit. You’ll practice yoga to build strength, flexibility, and cardio-vascular health, meditate to calm the body and mind, receive healthy eating tips that make you feel GOOD about food (not restricted, because that’s a bog downer! ), learn to integrate accessible self-care routines into your daily life, and practice journaling to focus your intentions and align your actions to move toward them. Find what works best for you and make it part of your new routine in 2019! 4 Yoga Classes: Each 2 hour meeting, Christine will have a different theme and focus on a specific element of health and wellness. Each meeting will include a yoga practice, as well as other techniques, routines, and breathing exercises to help you in your journey. 3 Walking Sessions: every other meeting will consist of a slow-paced, beginner-friendly walk. These sessions are optional, but a great way to keep moving and active during the program while also checking in with the rest of the group. All the tools you need: You’ll get print-outs of yoga sequences, exercise options, healthy recipes, and more! Community Support: This series will include a Facebook group for LOTS of support throughout the program. No need to go it alone! Christine will share relevant information, and be available to answer questions as they come up. About Christine Fronterotta: Christine grew up as a competitive gymnast for 14 years, but years of heavy training had taken a toll on her body and she found herself searching for something spiritual and healing, which led her to yoga. She was able to link safe, kind, athleticism of the body, with the power of the mind and depth of the spirit. She decided to listen to the signs and songs of the Universe and became a yoga instructor. 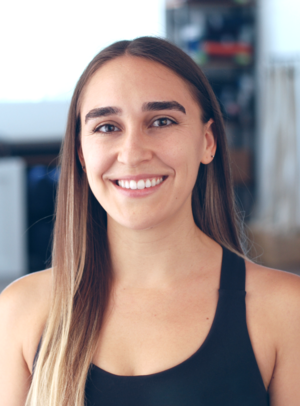 Incorporating Power, Hatha, Vinyasa, and Yin Yoga, with gentle hums of spirituality and sound healing, Christine aims to create a space for everyone to explore the depths of their own truth and being. Words, movement, breathe, sound vibrations, and other healing energetic modalities such as Reiki, are offered so that you can take in what your being calls for at the time. Yoga is so many things, but an important aspect is that it is healing, and self-revealing. Christine creates a space for you to connect to your healing, and higher self.